And what’s worse is that Noah will NOT eat an unpeeled apple – in fact, none of my kids would “eat the peels” when they were little. Which results in a lot of discarded peels. 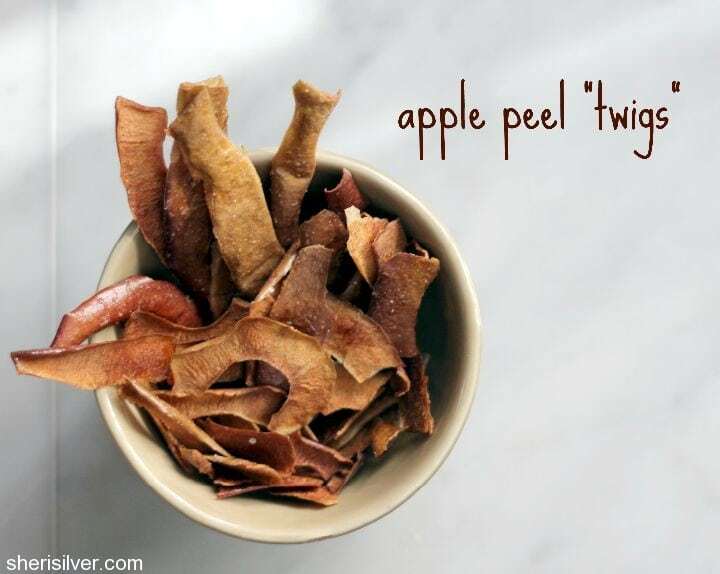 So you could imagine my delight upon discovering this genius use of apple peels – from Martha (of course)! 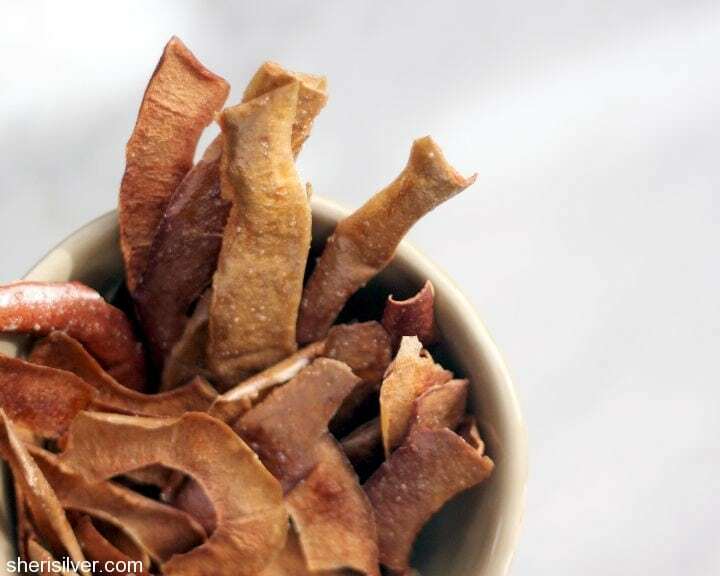 Crunchy, slightly sweet and in the oven in under 5 minutes, I’m in love with this snack idea. Even better – so is Noah. I’ve always known about the nutrients contained within the apple peels and I’m thrilled to have found a way to get Noah to eat them. These treats start to lose their crispness in a day or two, so it’s best to consume them right away. Which I assure you, will not be a problem. Pre-heat oven to 250; line a baking sheet with parchment paper. 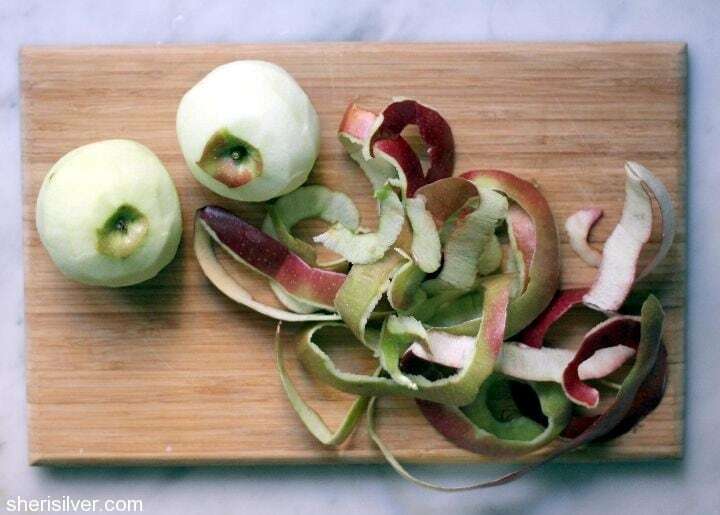 Place the peels in a medium bowl. Sprinkle with a little water and toss with the cinnamon-sugar mixture. Spread peels in a single layer on your prepared baking sheet (making sure they’re not overlapping) and bake for 2 1/2 hours. Let cool before serving. Note: You can adjust this recipe up or down based on the number of apples you have. If using more than one baking sheet, rotate the sheets halfway through the baking time. And now for Babble links! 8 Sweet Flavored Butters – Perfect for the Holidays! Sweet Treats Made with Savory Herbs and Spices! Ahhh, brilliant! 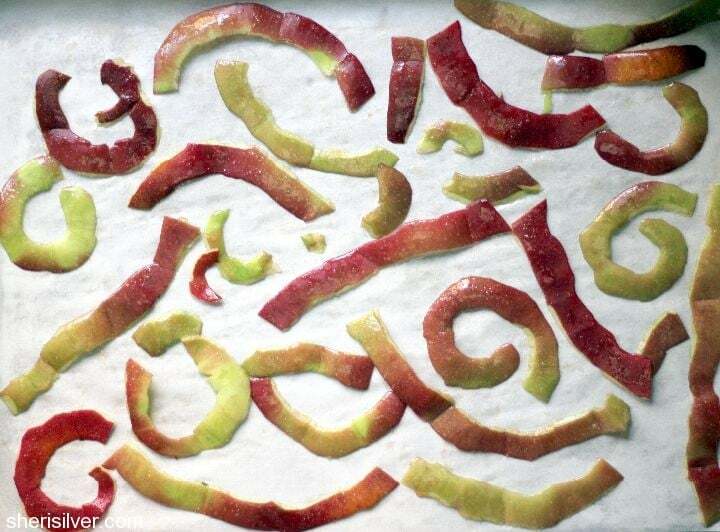 Of course we only have ourselves to blame for cutting the crusts off and peeling the apples. But what if you make a pie? Peelings galore. We dried figs this fall so it’s the same sort of slow dehydrating process. Love this Sheri.